I, Tonya stars Margot Robbie and Allison Janney received the Outstanding Performers of the Year Award from Santa Barbara International Film Festival (SBIFF) on February 8. Originally published in Santa Barbara Seasons on February 13, 2018. Golden Globe Award winner Saoirse Ronan received the Santa Barbara International Film Festival’s (SBIFF) Santa Barbara Award, presented by UGG, for her critically acclaimed role in Lady Bird. Her Lady Bird co-star Timothee Chalamet (recipient of the 2018 Virtuosos Award from SBIFF) presented the award. Ronan has numerous film credits, including The Grand Budapest Hotel, Hanna, The Lovely Bones and The Way Back. She has received Academy Award nominations for her performances in Atonement and Brooklyn, and recently was awarded the Golden Globe for Best Actress in a Motion Picture – Musical or Comedy for her performance in Lady Bird. Cocktail Corner: Cheers to SBIFF! The Santa Barbara International Film Festival (SBIFF) is always a fun and festive affair, and Wednesday night’s opener was no exception. Emilio Estevez‘s heartwarming and eye-opening film, The Public, was a great way to start the night. On the red carpet to celebrate were SBIFF Executive Director Roger Durling; Estevez and fellow cast members Alec Baldwin, Michael K. Williams, Jena Malone, Che Smith, Spencer Garrett and Jacob Vargas; as well as Martin Sheen (Estevez’s father), Mayor of Santa Barbara Cathy Murillo and Supervisor Joan Hartmann. The film was followed by a fabulous party presented by Belvedere Vodka at Paseo Nuevo. Santa Barbara will be pouring cocktails at celebrity studded events for the next week. Keep your eyes out for Margot Robbie and Allison Janney, Gary Oldman, Saoirse Ronan, Sam Rockwell, Gal Gadot and many more in the days to come. Belvedere Classic Martini, courtesy photo. Belvedere Modern Greyhound, courtesy photo. Method: Combine ingredients in a mixing glass and stir over ice until very cold. Strain into a chilled martini glass and garnish with a pink grapefruit twist. Method: Combine all ingredients in a tall glass filled with ice. Roll contents and garnish with a grapefruit slice and a dash of salt. Tickets are still available for some of the celebrity tributes. For more information, click here. Originally published in Santa Barbara Seasons on Feb. 2, 2018. The 33rd annual Santa Barbara International Film Festival (SBIFF) kicked off Wednesday with the world premiere of Emilio Estevez’s The Public and the Opening Night Gala. On hand to celebrate was SBIFF Executive Director Roger Durling; Estevez and fellow cast members Alec Baldwin, Michael K. Williams, Jena Malone, Che Smith, Spencer Garrett and Jacob Vargas; as well as Martin Sheen (Estevez’s father), Mayor of Santa Barbara Cathy Murillo and Supervisor Joan Hartmann. The turquoise ribbons seen around town this week are a moving tribute in honor of the victims, representing clarity of thought, harmony, and healing. In an emotional opening to the Festival, Durling read off the names of each person that passed away or is currently reported as missing. He then brought Estevez on stage who was joined by his cast to introduce the film. Throughout the festival, ribbons will be available for purchase at the Metro 4 Theatre with all proceeds going directly to United Way of Santa Barbara County. For more information, visit sbiff.org. Originally published in Santa Barbara Seasons on February 2, 2018. SBIFF Outstanding Performer of the Year Award, courtesy photos. I, Tonya stars Margot Robbie and Allison Janney will receive the Outstanding Performers of the Year Award from Santa Barbara International Film Festival (SBIFF) on Thursday, February 8, at 8 p.m. at the Arlington Theatre, 1317 State St.
Janney and Robbie have received Critics’ Choice Awards for the film and both actresses have also received nominations at the BAFTAs and SAG Awards for their respective roles, and Janney was awarded with the Golden Globe for Best Supporting Actress. The tribute will be moderated by Scott Feinberg, Awards Columnist for The Hollywood Reporter. Janney and Robbie will join a renowned group of Outstanding Performer Award recipients, including Ryan Gosling and Emma Stone, Brie Larson and Saoirse Ronan, Steve Carell, Cate Blanchett, Jennifer Lawrence, Viola Davis, Colin Firth, Penelope Cruz, Angelina Jolie, Helen Mirren, Heath Ledger, Kate Winslet, and Charlize Theron. For more information and to purchase tickets, visit sbiff.org. Originally published in Santa Barbara Seasons on January 26, 2018. SBIFF Santa Barbara Award Honoring Saoirse Ronan, courtesy photos. Golden Globe Award winner Saoirse Ronan will receive the Santa Barbara International Film Festival’s (SBIFF) Santa Barbara Award, presented by UGG, for her critically acclaimed role in Lady Bird. Given to a person in the entertainment industry who has made a great contribution to film, she will receive the award at a ceremony on Sunday, February 4, at 8 p.m., at the Arlington Theatre (1317 State St.). Saoirse Ronan, whose first name rhymes with “inertia,” has numerous film credits, including The Grand Budapest Hotel, Hanna, The Lovely Bones and The Way Back. She has received Academy Award nominations for her performances in Atonement and Brooklyn, and recently was awarded the Golden Globe for Best Actress in a Motion Picture – Musical or Comedy for her performance in Lady Bird. Past recipients of the award include Isabelle Huppert, Sylvester Stallone, Jennifer Aniston, Oprah Winfrey, Daniel Day-Lewis, Geoffrey Rush, Julianne Moore, Kate Winslet, Javier Bardem, Bill Condon and Naomi Watts. For more information, visit sbiff.org. Originally published in Santa Barbara Seasons on January 28, 2018. SBIFF American Riviera Award honoring Sam Rockwell, courtesy photos. Golden Globe and Critics’ Choice Award winner Sam Rockwell is being honored with the 2018 American Riviera Award at the Santa Barbara International Film Festival (SBIFF). Rockwell’s tribute celebrates his acclaimed performance in Three Billboards Outside Ebbing, Missouri. The American Riviera Award was established to recognize actors who have made a significant contribution to American Cinema. Rockwell will join a prestigious group of past recipients, including Jeff Bridges, Michael Keaton, Rachel McAdams, Mark Ruffalo, Patricia Arquette, Ethan Hawke, Robert Redford, Quentin Tarantino, Martin Scorsese, Annette Bening, Sandra Bullock, Mickey Rourke, Tommy Lee Jones, Forrest Whitaker, Philip Seymour Hoffman, Kevin Bacon and Diane Lane. The 33rd edition of the Festival runs from January 31 to February 10 and the American Riviera Award takes place on Wednesday, February 7, at 8 p.m. at the Arlington Theatre, 1317 State St.. Originally published in Santa Barbara Seasons on January 24, 2018. The Public will open the 2018 Santa Barbara International Film Festival on January 31. Courtesy photos. Opening night of the 33rd Santa Barbara International Film Festival (SBIFF), presented by UGG, is the worldwide premiere of The Public at the Arlington Theatre on Wednesday, January 31. Written and directed by Emilio Estevez, the film stars Estevez, Alec Baldwin, Jena Malone, Christian Slater, Taylor Schilling, Che “Rhymefest” Smith, Gabrielle Union, Jacob Vargas, Michael K. Williams and Jeffrey Wright. “I’ve long admired Emilio Estevez as an artist-actor-director. With The Public, I feel he has done his most personal and fully realized work. the public speaks wonderfully about our current divided country – but it also does not preach – it keeps us cinematically immersed. I can honestly say this is the proudest choice for opening during my tenure at SBIFF. I cherish the friendship with Emilio and admire his accomplishment with the public,” says Roger Durling, Executive Director of SBIFF. The Public puts the spotlight on the issues of homelessness, mental illness and drug addiction as it follows a group of homeless library patrons, who, after learning that emergency shelters are at capacity during a brutal Midwestern cold front, refuse to leave Cincinnati’s downtown public library at closing time. “I’m absolutely delighted, thrilled, and humbled to be chosen by Roger Durling for the great honor of kicking off SBIFF 2018 with The Public. 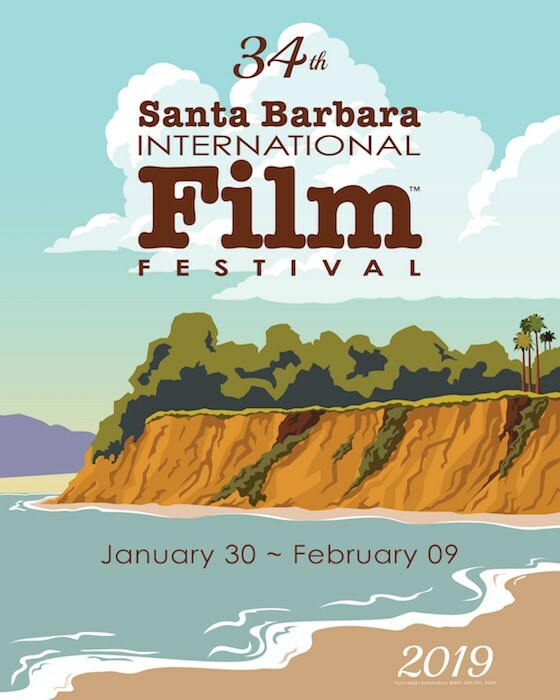 Roger’s long standing commitment of supporting independent filmmakers makes the Santa Barbara International Film Festival a vital showcase for artists. Once again, the festival will screen a wide and wonderful variety of distinguished films and our picture has indeed, found itself in some lovely company,” says Emilio Estevez. Originally published in Santa Barbara Seasons on January 4, 2018.
and John Boyega (Detroit)—takes place on Saturday, February 3, at 8 p.m. at the Arlington Theatre. Courtesy photos. Santa Barbara International Film Festival Virtuosos Award will once again honor many of the most notable performances in Hollywood this year. The award, presented by UGG, takes place on February 3 at the Arlington Theatre. The group will be recognized for their breakthrough roles in 2017 and careers thus far. Daniel Kaluuya gives a star-making performance as the unsuspecting yet resourceful Chris Washington in the speculative thriller Get Out. Bringing to life the enduringly popular comic book character of the same name, Gal Gadot balances formidable prowess and a genuine sense of hope in her role in this summer’s critically praised, conversation-changing Wonder Woman. Hong Chau delivers an inspiring performance in the social satire Downsizing, in which she brings humor and compassion to the role of Ngoc Lan Tran. In Detroit, John Boyega gives a captivating turn as Melvin Dismukes, a security guard who is falsely accused of killing three men on one of the most horrific nights in American history. Based on a true story that he co-wrote, Kumail Nanjiani brings comedy, pathos, and dramatic stakes to The Big Sick as a man whose girlfriend falls into a mysterious coma. In Mudbound, renowned singer/songwriter Mary J. Blige delivers a powerful and solemn turn as Florence Jackson, a mother struggling to maintain land in 1940s Mississippi. In Call Me By Your Name, Timothée Chalamet gives a brilliant and heartfelt performance as Elio, a teenage boy who begins a relationship with his father’s assistant. Prior recipients for the award include Dev Patel, Mahershala Ali, Naomie Harris, Ruth Negga, Alicia Vikander, Rosamund Pike, J.K. Simmons, Eddie Redmayne, Quvenzhane Wallis, Rooney Mara, Melissa McCarthy, Andrew Garfield, John Hawkes, Hailee Steinfeld, Jacki Weaver, Carey Mulligan, Saoirse Ronan, Gabourey Sidibe, Casey Affleck, Marion Cotillard, Viola Davis, Sally Hawkins, Richard Jenkins, Melissa Leo, Ellen Page, Amy Ryan, Michael Shannon, Brie Larson, Jared Leto and June Squibb. Originally published in Santa Barbara Seasons on December 20, 2017.